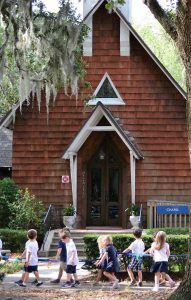 Kindergarten Council (FKC), Florida Council of Independent Schools (FCIS), and is a member of the National Association of Episcopal Schools (NAES). 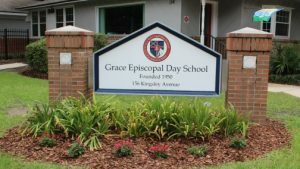 At Grace, we celebrate the richness of life in a Christ-centered community, the seriousness of academic achievement, and the joy of childhood. The reasons cited over and over by families that make a conscious decision to send their children to independent schools includes individual attention, small classes, teacher excellence, strong school to family community communication, a safe and secure campus, and high academic standards. Come see for yourself!